Cached files can readily build up on a smartphone or tablet, taking up vast amounts of excess storage space often without the knowledge of the device’s owner. 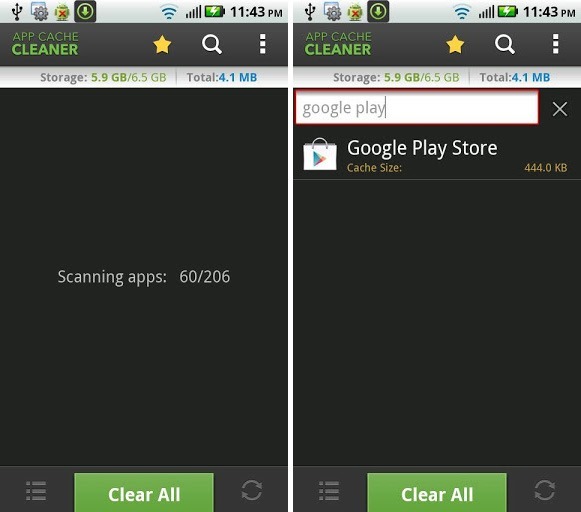 There are plenty of apps out there offering to help clear up these files, but App Cache Cleaner for Android packs in a decent array of features and notably, also does not require root access in order to function. If you feel like your device is running out of space, but aren’t sure exactly where it’s going, this is perhaps the surest sign that your Android device hoarding a bunch of mainly useless files within the cache, and it’s App Cache Cleaner’s job to weedle them out and free up some room for the more important stuff you wish to store. Often, perhaps understandably, these kinds of apps require the deeper access facilitated by a root in order to really delve into the file system and remove any unwanted excess baggage, but App Cache Cleaner manages to work its magic on untouched stock Android software. When you boot the app from the first time, you’re presented with a bunch of options ranging from the ability to automatically clear the cache of an app upon launching, to being able to specify set intervals for cache clearance, meaning you can hopefully avoid those dreaded “memory low” warnings in the future. With the ability to list your apps in terms of cache size as well as alphabetically, you can readily find out the worst offenders when it comes to storing excess baggage, and from there, you can either remove cached files, set the app to remove cached files regularly, or perhaps even delete the app altogether if its gains fail to outweigh its bulk. 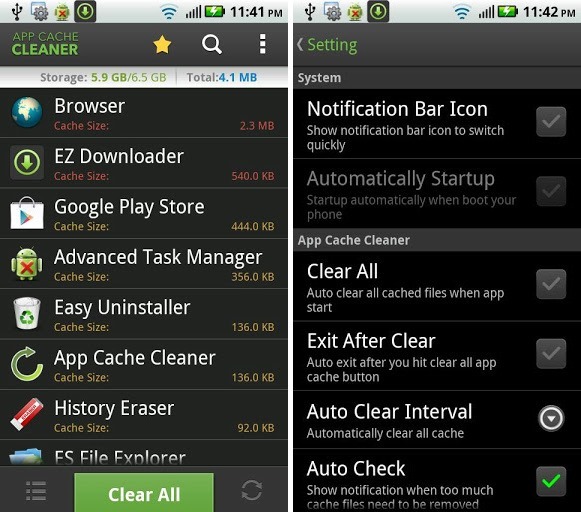 App Cache Cleaner is absolutely free of charge, which obviously means you can take it for a spin regardless of you liking it or not, and can be download right now via the link provided. Download it, give it a blast, and let us know how much space you managed to free up by dropping a comment in the section below. 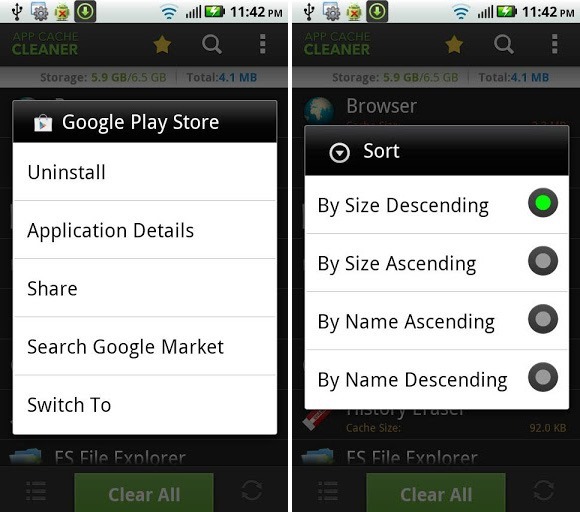 Alternatively, Clean Master for Android is another app which does the same job of clearing caches, but is more easy on the eyes. Be sure to give that a try, too.